William Osler is regarded as McGill’s most eminent medical graduate and, as Professor of the Institutes of Medicine, the most eminent member of the McGill Medical Faculty. At the time of his death, he was without question the best known and best loved physician in the English-speaking world. Over the years since then, he has become for many the symbol of the ideal physician who combines a superb knowledge of medicine with a humanistic approach. A prolific writer, his publications covered a wide varies of subjects - natural science, comparative and human pathology, clinical medicine, history, biography, bibliography, medical education, medical societies, the medical profession, and public welfare. Some of his most famous published addresses were originally delivered as lay sermons. His magnum opus, 'The Principles and Practice of Medicine, first published in 1892, went through many editions and was translated into French, German, Spanish, and Chinese, In the early decades of the twentieth century, generations of physicians were brought up on this popular textbook. In the words of W.W. Francis, McGill’s Osler Librarian, it became the Bible of medical men. It also drew to the attention of John D. Rockefeller, and later his son, the importance of medical research and thus contributed to the establishment of the Rockefeller Institute of Medical Research. Osler was born in Bond Head, Upper Canada (now the Province of Ontario). As he grew into manhood, his aim was the ministry and to that end he entered Trinity College, Toronto in the autumn of 1867. However, his chief interest proved to be medicine and, forsaking his original intention, he enrolled in the Toronto School of Medicine. This was a proprietary, or privately owned, institution, not to be confused with the Medical Faculty of the University of Toronto which was then not active as a teaching body. After two years at the Toronto School, Osler came to McGill where he obtained his medical degree in 1872. Following postgraduate studies abroad, he returned to Montreal to serve as a member of the McGill Medical Faculty and as physician and pathologist at the Montreal General Hospital. His teacher, Robert Palmer Howard, described his vitalizing influence on the McGill Medical Faculty as analogous to that produced by a potent ferment. In 1884, Osler went to Philadelphia as Professor of Clinical Medicine at the University of Pennsylvania. Five years later he moved to Baltimore to be Professor of Medicine and Physician-in-Chief at the new Johns Hopkins Medical School and Hospital. Finally, in 1905, he became Regius Professor of Medicine at Oxford, a post he held until his death in 1919. It has been said that one of Osler's extraordinary qualities was his ability to make his friends feel that when he moved from one place to another he never really left his former home. In this sense, he seemed never to have left McGill University and the Montreal General Hospital. He maintained a voluminous correspondence with his old Montreal colleagues who often sought his advice. His homes in Philadelphia, Baltimore, and Oxford were always open to Montreal visitors. He sent gifts of books to the McGill Medical Library and, as a final and crowning act, he bequeathed the greater part of his magnificent and priceless collection of books and manuscripts to McGill University and thus established the Osler Library of the History of Medicine. There, at his request, his ashes rest amongst his beloved Books. Reprinted from:"William Osler" in: McGill Medical Luminaries . Edited by Edward H. Bensley. (Osler Library Studies in the History of Medicine, Number 1.) Montréal, Osler Library,1990. a digitised version of the Bibliotheca Osleriana, the printed catalogue of Sir William Osler's Library, is freely available. The Bibliotheca is a valuable resource in understanding Osler's conception of medical history, both in the organisation of his collection and the introductory material. Additional information about the collection is provided by the editors of the catalogue, which was completed after his death. The Osler Library has grown from approximately eight thousand books donated by Sir William to a collection of over 100 000 volumes, and is being added to continually. Catalogue records for all the printed material in the Library are available on McGill University's online Catalogue. The Osler Library maintains a list of selected Osleriana websites with significant material by or about Sir William Osler. Below is a selection of these. American Osler Society The American Osler Society has been founded for the purpose of bringing together members of the medical and allied professions who are, by their common inspiration, dedicated to memorialize and perpetuate the just and charitable life, the intellectual resourcefulness, and the ethical example of William Osler (1849-1919). Ask Osleriana A searchable database of Osler essays, such as the collection "Aequanimitas and Other Essays" and Harvey Cushing's biography "The Life of Sir William Osler" (1925). There are also abstracts of papers given at some of the annual meetings of the American Osler Society. Celebrating the Contributions of William Osler, 1849-1919, an online collection of photographs, writings and letters of Sir William Osler created by the Alan Mason Chesney Medical Archives of the Johns Hopkins Medical Institutions. Osler’s Web. The website of the John P. McGovern Historical Collections and Research Center, in Houston, Texas, has digitised a number of Sir William’s works, including the The Principles and Practice of Medicine (the first and 4th editions). Sir William Osler Memorial Number, Canadian Medical Association Journal (volume 10, Special Issue, July 1920). A collection of reminiscences and other articles related to Sir William Osler, including a bibliography of his works. William Osler Photo Collection The William Osler Photo Collection, Osler Library, McGill University was made possible through a generous donation from the John P. McGovern Foundation, and the support of the Friends of the Osler Library. University of Medicine and Dentistry of New Jersey Page created to celebrate the 100th. 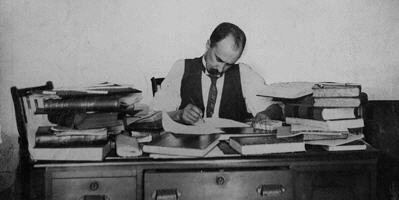 anniversary of the Medical Library Association, of which Sir William Osler was a founder.